On May 1, dLife is hosting a free fitness class at CLAY Fitness Club for people living with Type 1 or Type 2 diabetes. The instructor will take you through a 45 minute fitness class where we’ll learn new workout techniques, get a little sweaty and learn from each other about exercising with diabetes. This is a beginner’s class, but all fitness levels are welcomed. Participants will also test their blood sugar together before, during and after class. Just like camp! dLife TV will be covering pieces of the class as a portion of their Sunday night programming. Email Kerry Brown at kerryrobin [@] hotmail.com to reserve your spot – space is limited! On May 6, the Diabetes Research Institute is hosting their 5th annual D.R.E.a.M.S for a Cure event in Manhattan. I have not attended before, and won’t be attending this year, but it looks like fun and it’s for a great cause. Tickets are $200 and you can find out more here. 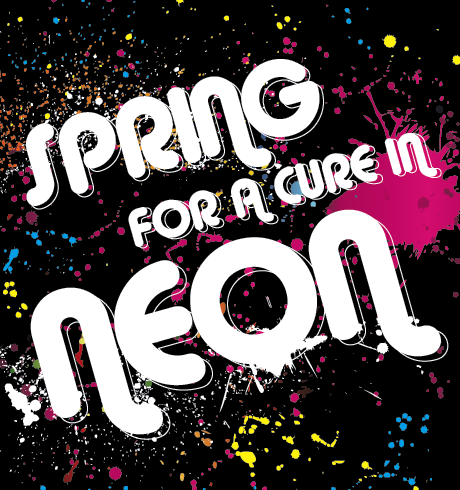 On May 13, the JDRF is hosting their annual Sprin g for a Cure, a young professionals event that involves a lot of food, a lot of alcohol, music, dancing and a great silent auction! It takes place at the Metropolitan Pavilion from 7-10 p.m. and costs $100 to attend (though part of that is tax-deductible). But the $100 pricetag ends tomorrow, so buy your tickets today! The price goes up to $125 after April 29. This is my third year and is a lot of fun. If you plan on attending, please let me know so we can mingle! You can order your tickets here. On May 16, the one and only Cara is coming to NYC and I’m hosting a meet-up! It will be taking place on the Upper West Side at Pinch and S’mac and will involve an all-you-can eat buffet of pizza, mac and cheese, and salad in our very own private dining room so you don’t have to worry about not getting a chance to meet everyone. The cost is $32 per person and you MUST RSVP so I can tell the kitchen how much food to make for us. Please be prepared to bring exact cash or a personal check made out to me. Please email me at amblass [@] gmail.com. from → Diabetes, Events, NYC, The O.C. I want to go to the meetup when Cara comes. That place looks delish and its on a Sunday! I will plan to come. 🙂 I placed it in my calendar. If anything changes let me know through email. You know I’ll be there. 🙂 I am finding out from my friend if she wants to come too. I’ll let you know as soon as I know something. I’m so damn behind on blog reading that by the time I’ve gotten to this post, I’ve already received the Evite for the 16th. I’ve already responded to it too!! Yay – can’t wait!! Presented by: Dr. Howard Greenberg, Senior Medical Director at Clinilabs & Max Szadek, Mr. Divabetic from Divabetic.org. To register for this free event visit: https://www1.gotomeeting.com/register/947633208. “Living with Diabetes: Health and Wellness Advice” is an presentation geared toward individuals living with diabetes as well as their friends, family members, and care takers. You will also have Q&A time with a clinician. This webinar will also featuring Max Szadek, founder of Divabetic. Divabetic, a national nonprofit, provides free education, empowerment and encouragement for women at risk, affected by and living with diabetes to stay healthy and upbeat about their daily self-care. He will be providing tips and motivational advice on how to stay healthy and strong.